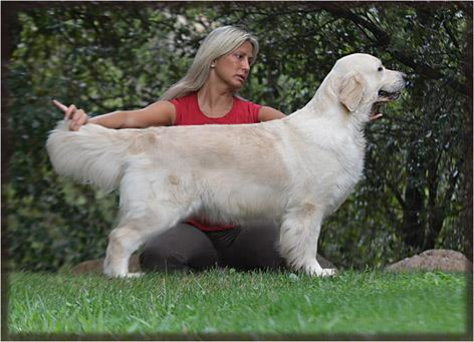 Fabi comes to us from Thevenet Golden Retrievers and Santiago Gadea Castro of Spain. 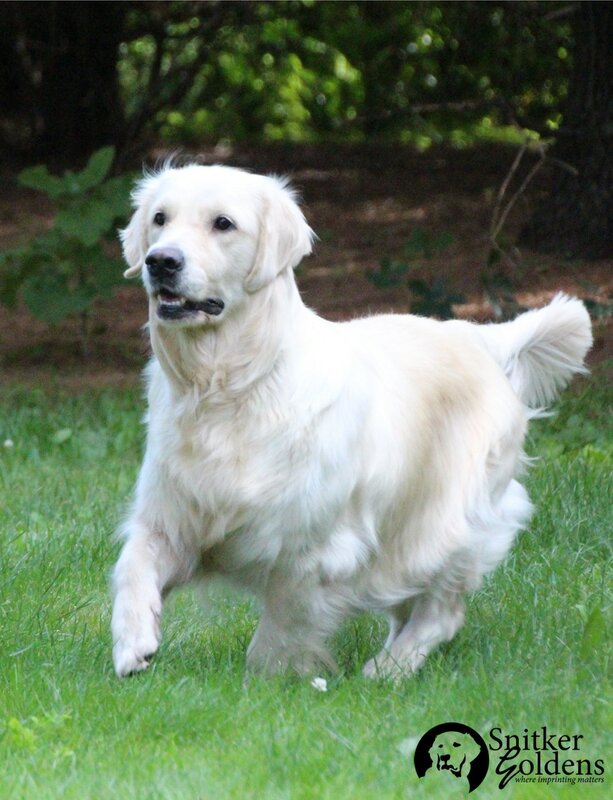 Daughter of Multi-Champion, Trialer, and World Winner 2014, Thevenet Expansion by Sasha (Sasha, an AI sire for Snitker Goldens). After our first Thevenet Golden boy, Goose, from Santiago, our hopes were quite high for Fabi. Not only did she meet our expectations - she exceeded them. 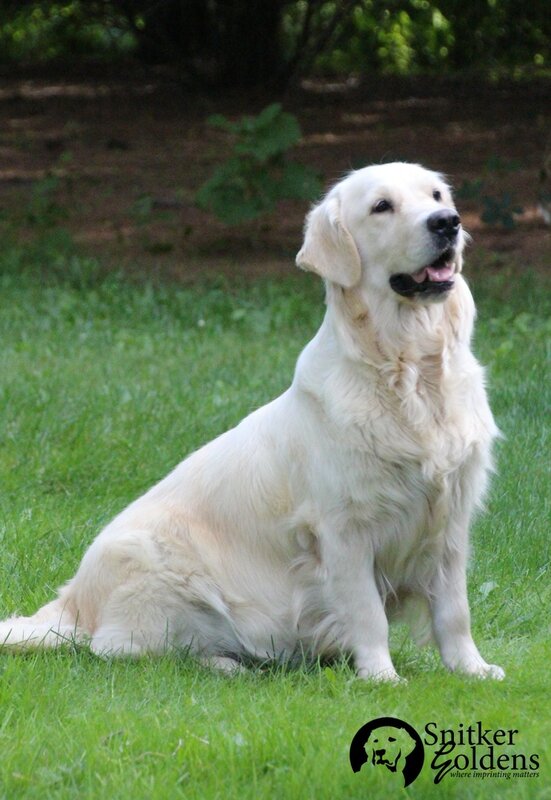 With her, Fabi brought a poised and genteel temperament, one befit a far more mature Golden. We adore her. She is prcd-PRA clear, PRA1 and PRA2 clear. With our focus on therapy work, Fabi's relational and loving demeanor is a perfect fit for our program. Fabi's pups are very gentle, characteristic of the Thevenet lines we have worked with. 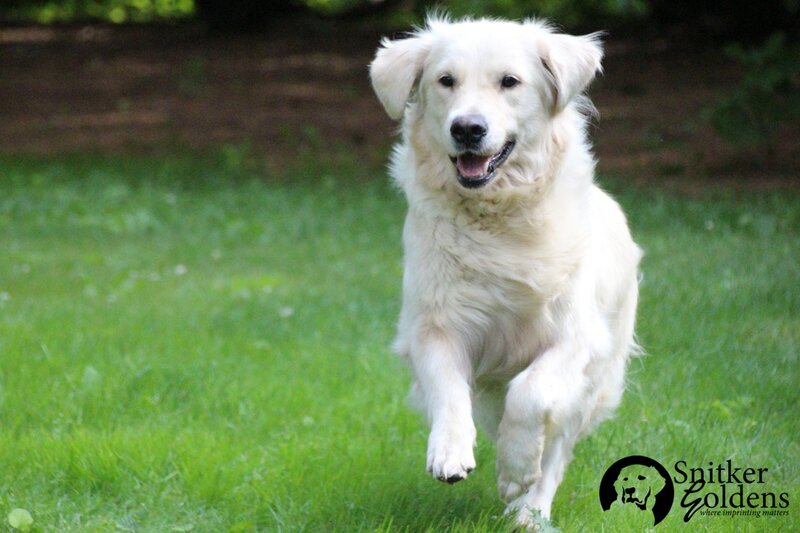 Hearty pups, these babes often show variance in their coat color with beautiful creamy white coats to beautiful shades of light sandy-colored coats. Beautiful and strong head structures on these litters. 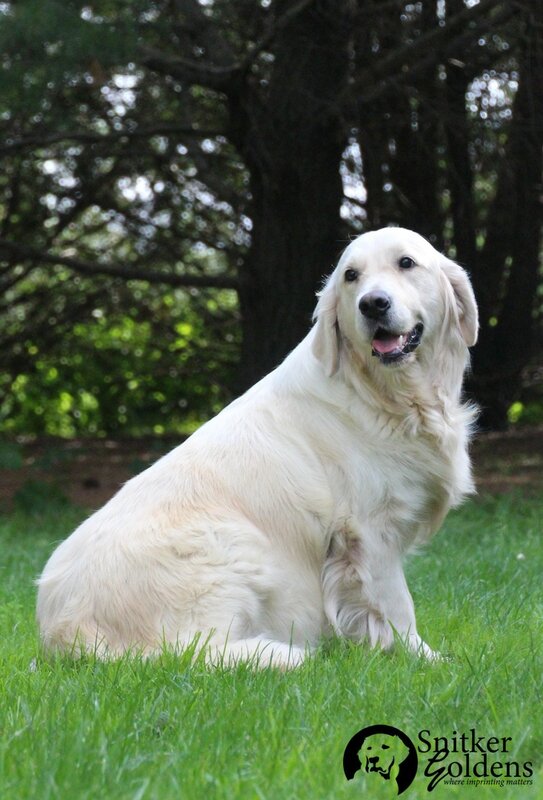 We are so very thankful to Santiago and Olga for entrusting us with this special girl, adding to our lines another wonderful temperament suitable for therapy offspring. 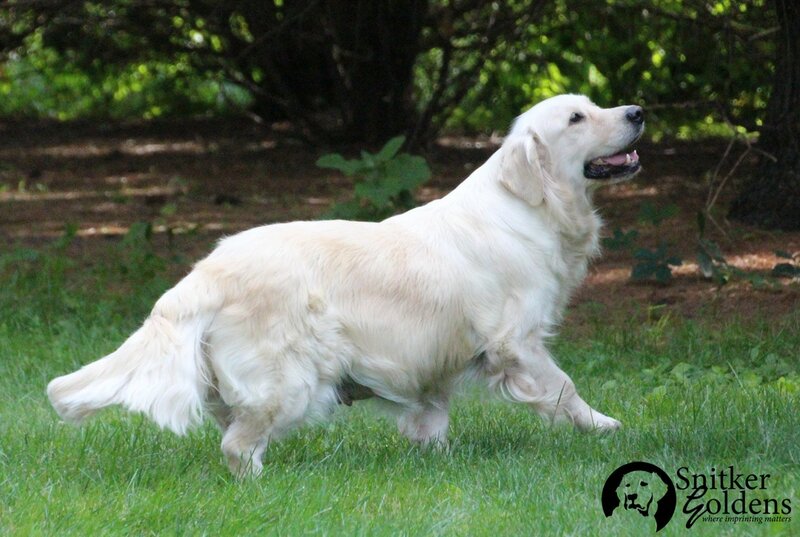 Click to view Fabi's Pedigree and Health Clearances. Fabi is pictured below at six weeks gestation.